Juneau Douglas Little Theatre is a local non-profit community theater whose purpose is to is to entertain and involve as many community members through live theatre as possible. 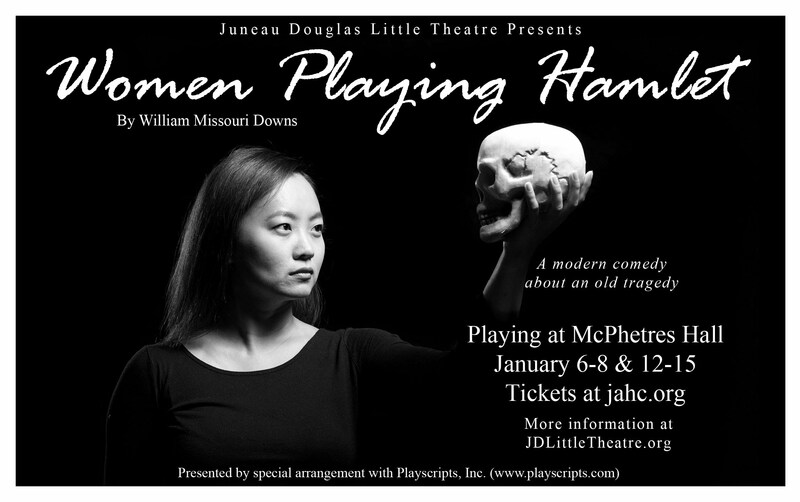 Women Playing Hamlet is a comedy about the tragedy of modern life. Featuring an all-female cast performing multiple roles, Woman Playing Hamlet is rip-roaring fun for Shakespeare fans and haters alike. Jessica, an actress from Minnesota has been cast to play Hamlet, faces an up hill battle through a maze of self-important humanities professors, Freudian psychiatrists and a Minnesota mother only to discover the she doesn’t understand Hamlet, or herself. There is no need for the audience to have seen or even understand Hamlet in order to follow Jessica’s comic search to find her unique self. Your play could be next! 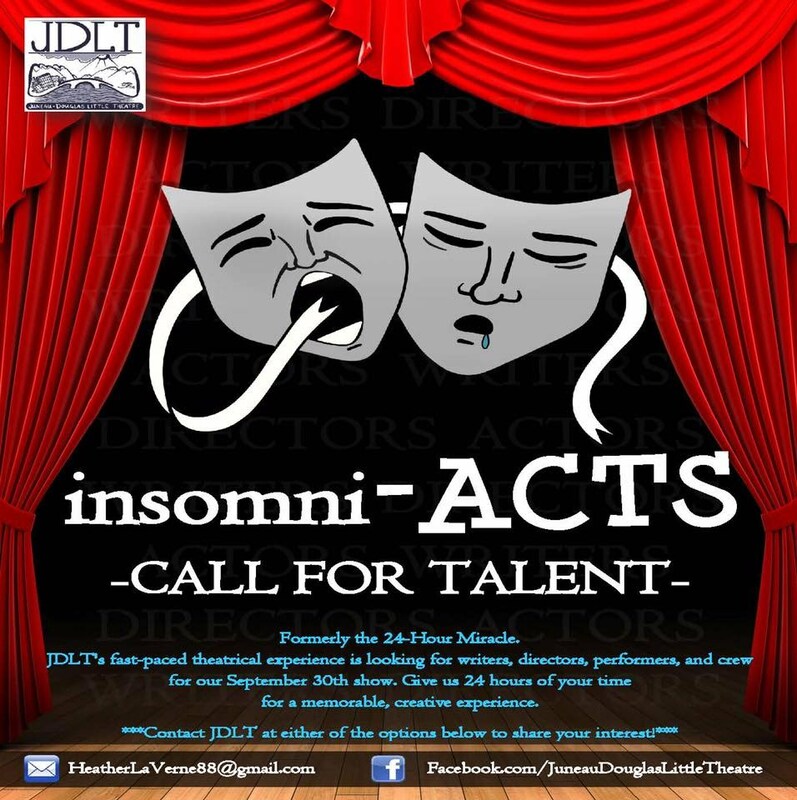 JDLT is always looking for new material to produce, especially when it comes to locally written plays. Do you have a play (or screenplay) that you have written that you want read or performed on stage? Have you always wanted to act or direct something specific and never had the opportunity? Is there a play you really want to watch but don't want to be involved at all? Please let us know if there is something you want to see on stage!